The ATA serves as the faithful protector of the sport of trapshooting. As the largest clay target shooting organization in the world, the ATA governs the sport's rules and regulations and seeks ways to further enhance the sport and increase participation. The ATA was founded in 1900 as the American Trapshooting Association and later changed to the Amateur Trapshooting Association in 1923. A Board of Directors, composed of state and provincial delegates govern all ATA policy matters. The Executive Committee, which is comprised of one representative from each of the five Zones, provides stewardship for the association throughout the year. The organization's day-to-day business is guided by an Executive Director and a team of professionals at the national headquarters in Sparta, IL. Annually, ATA members participate in 6,000 plus registered tournaments and shoot at more then 60 million targets. With more than 900 gun clubs affiliated with the ATA you can find registered shooting just about anywhere. The ATA Homegrounds, located in Sparta, IL, is also home to the Grand American World Trapshooting Championships each August. 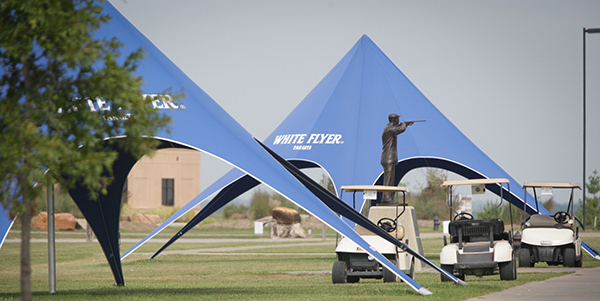 This annual event draws nearly 4,000 competitors and showcases some of the best shooting talent in the world! Download the All-American Requirements as PDF.